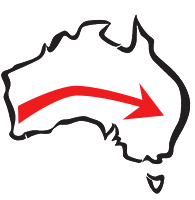 Are you looking for Uni-Q tracks in the Eastern States of Australia? The good news is we can ship our tracks direct to you. Uni-Q Custom Made Tracking – Now ships to Eastern States! Enquire below. 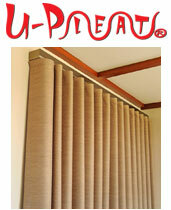 Competitive Pricing – our curtain tracks (including shipping) are very cost-effective and probably cheaper than your local stores, especially when compared on quality and finish. Better Décor Finish – perhaps we’re biased, but we’re convinced Uni-Q tracks can’t be beaten when it comes to stunning looks for your curtains at home. Check out 33 Reasons to Choose Uni-Q for more information. Customised for You – even on the other side of Australia, no job is too difficult for our expert track makers! All we need is your window measurements for a perfect fit. Don’t worry about getting it wrong – our team will talk with you to ensure we have the correct measurements and details. Please fill out the form below – discover how you can get curtain tracks that help you achieve a better décor finish for your curtains at a lower price. Help us stop SPAM. Please enter the security code before you press send.